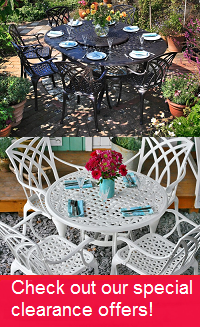 Our Betty bistro table & 2 chair set in White will turn any garden into an idyllic outdoor seating and dining area, perfect for entertaining guests. For a time-worn effect that remains strong throughout the ages, pop on over to the Betty in Antique Bronze. Excellent quality product. Both attractive and sturdy. Helpful on the phone, prompt delivery. The table screws could be a little longer to make assembly that bit easier, but otherwise straightforward and very pleased with result. Previous furniture we bought has weathered well. 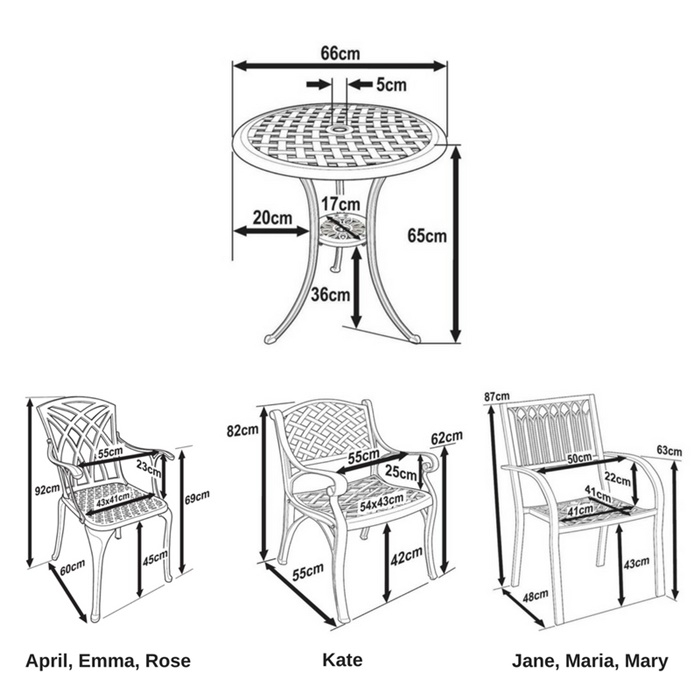 Easy to assemble chairs which look great in my garden. The product was good, and a slight mix-up with the order was resolved quickly and satisfactorily by Lazy Susan Furniture. I would definitely recommend this company. Excellent quality product. Both attractive and sturdy. Delivered on time hence 5 stars.